The Laboratory for Innovations in Rehabilitation Technology (LIRT) was founded at the University of Haifa (Haifa, Israel) in 2001 by Prof. Patrice L. (Tamar) Weiss. LIRT's focus is on the development and evaluation of novel virtual environments, computer interfaces, and co-located technologies to explore their effect on body functions (e.g. motor and cognitive abilities), activities (e.g. meal preparation) and participation in community life. Rehabilitation populations of interest include spinal cord injury, stroke, cerebral palsy, developmental coordination disorder, autism and head trauma. LIRT researchers have many international collaborations with scientific and clinical colleagues from Canada (e.g., McGill University, University of Calgary and Baycrest Geriatric Center), the USA (e.g., University of Southern California, Vanderbuilt University, Temple University), the UK (Nottingham University), Italy (Fondanzione Bruno Franco), and Japan (Osaka University). Major research funding has been received from numerous national and international agencies such as the Israeli Science Foundation, Israel Ministries of Health, Defense and Education, the Israel National Road Safety Authority, the US-Israel Science and Technology Foundation, the Koniver Foundation, Keren Shalem, Cure Autism Now, Autism Speaks Foundation, the Rayne Foundation and European Union FP7 ICT program. 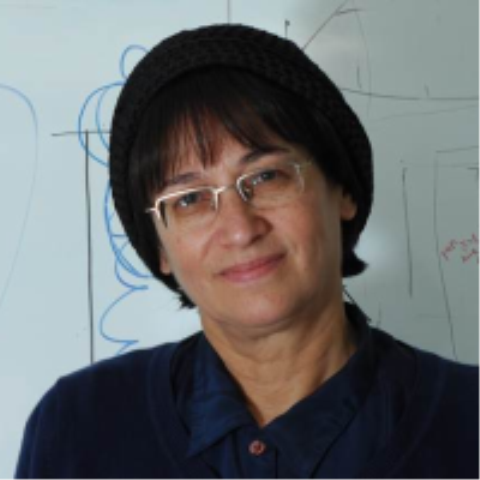 LIRT is directed by Prof. Patrice L. (Tamar) Weiss, a full professor at the University of Haifa with adjunct appointments at Temple and McGill Universities. She is an occupational therapist with an M.Sc degree in kinesiology and a Ph.D degree in physiology and biomedical engineering. Prof. Weiss is a founding board member of the International Society of Virtual Rehabilitation. She has authored more than 120 peer-reviewed journal articles and book chapters. For the past five years she has joined forces with a team of researchers from Italy and the UK to enhance social interaction through story-telling and collaborative games among high-functioning children with autism. Funded by the European Union FP7 ICT program, novel collaborative virtual environments and collocated table-top technologies have been demonstrated to significantly improve the social interaction skills of children with autism. Together with Italian and Israeli collaborators, she has developed a novel collocated technology to facilitate conflict escalation and de-escalation between Israeli-Jewish and Palestinian-Arab youth wherein face-to-face, tangible individual contributions were combined with joint actions. Funded by the Israeli Science Foundation, the results of an extended evaluation show a significant shift to a more positive attitude toward a peer from another culture due to enhanced visibility of the conflict, and the notion that increased awareness enables a participant to deal with a dyadic cycle of conflict related actions and reactions.